Cleaner shrimp on anemone. 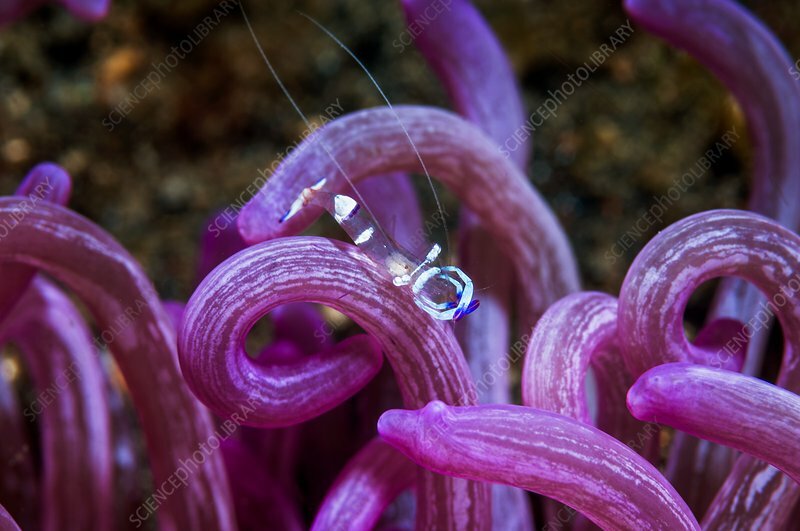 Magnificent shrimp (Periclimenes magnificus) on the tentacles of a corkscrew anemone (Macrodactyla doreensis). Cleaner shrimp clean parasites from other animals. In return, they gain protection from predators. This species is common in the Western Pacific Ocean. Photographed in the Lembeh Strait, North Sulawesi, Indonesia.